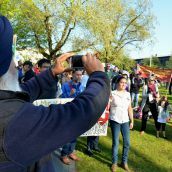 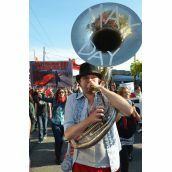 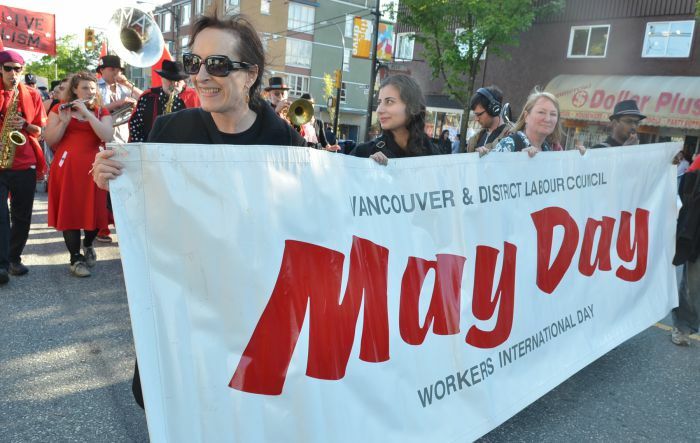 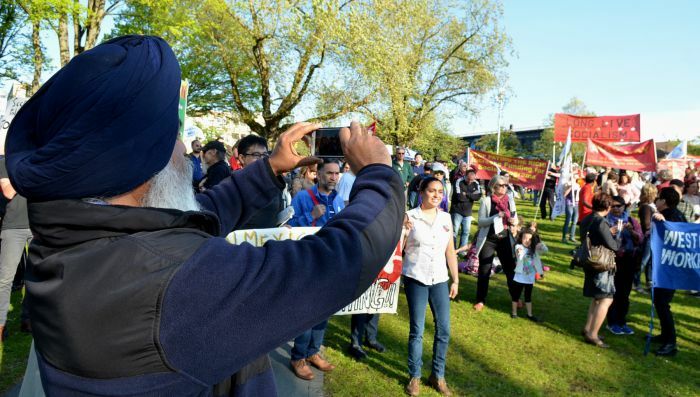 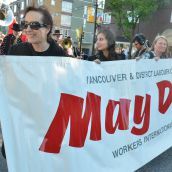 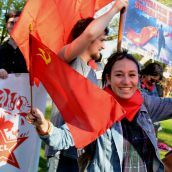 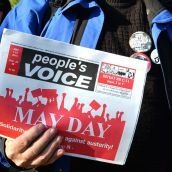 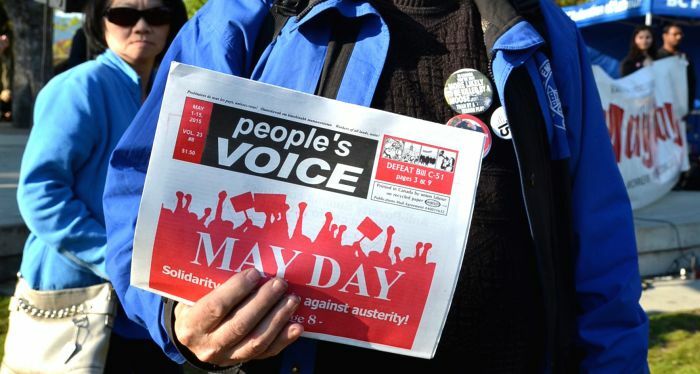 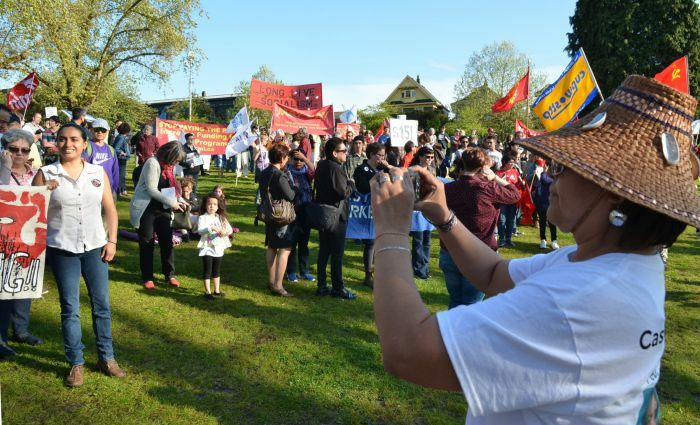 VANCOUVER - Turnout was good and the weather was great for this year's Vancouver & District Labour Council sponsored May Day March. 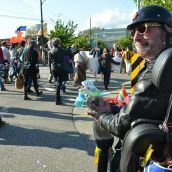 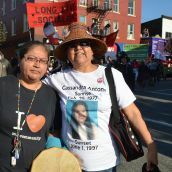 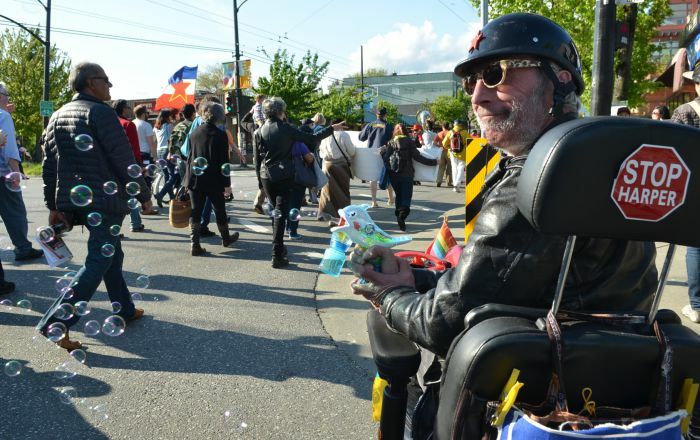 The marchers filled several blocks of Commercial Drive as they wound their way from 14th and Commercial to Grandview Park. 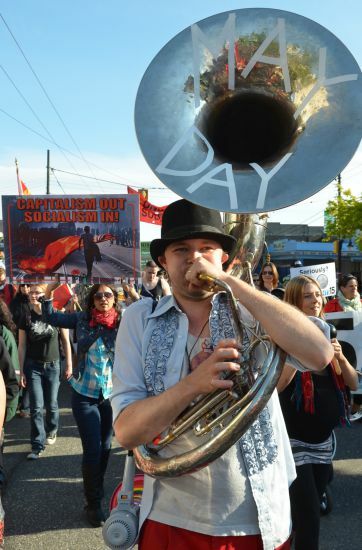 Speeches were followed by music and food. 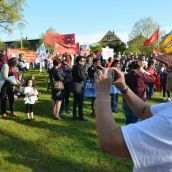 The BC Federation of Labour was on hand with BC Fed president Irene Lanzinger plugging their campaign to raise the BC minimum wage to $15. 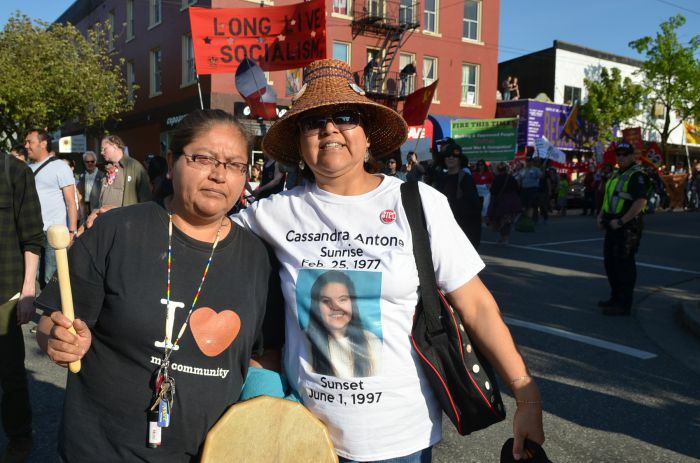 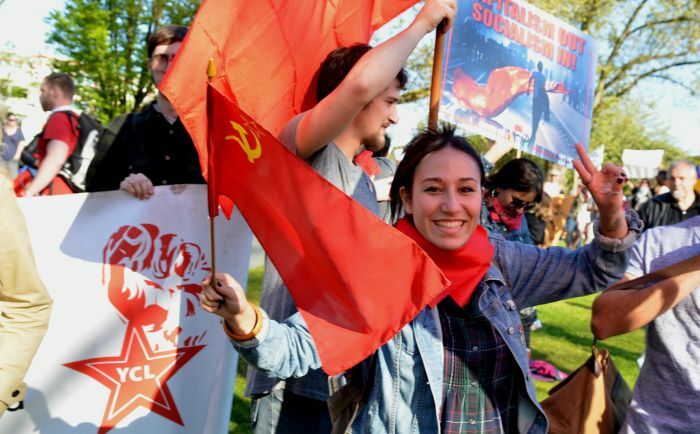 She pointed to the success of similar campaigns in neighbouring Washington state. 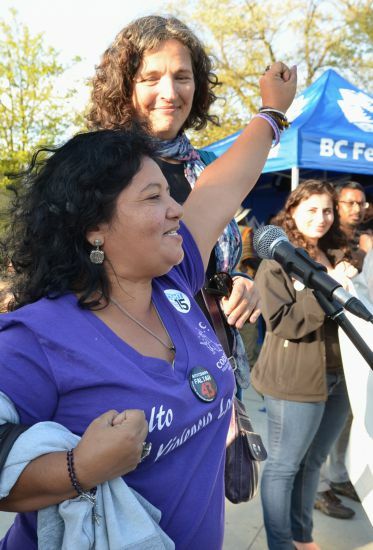 Lanzinger also called out the BC Liberals for their insulting small change increase tied to the cost of living that insures poor people in BC will never get a living wage while they remain in power.